My name is Anthony Claude Pierre El Bey, I’m currently housed at Raymond Laborde Correctional Center, in Cottonport, La., my nationality is that of Moorish American, I’m 40 years of age, my full term date is November 19, 2021 but able to earn good-time, I’m from New Orleans, I have 2 beautiful daughters, a wonderful fiance’ that I love more than anything in the world and one living biological parent left in my life whom I hold dearest-my dad. My hobbies are reading books, exercising regularly, promoting good health, very spiritual, a lover of history, traveling, and most importantly being with family and friends. I appreciate this wonderful opportunity to be able to get my voice heard Mrs. Suzie. I have a variation of topics to talk about. I’ve been fighting injusticeness in dealing with the Louisiana prison and court system for over 15 years now. I have been incarcerated for nearly 20 years but I know that there are innocent people who’s been falsely convicted just for the sake of CORPORATE AMERICA to bamboozle us by having us to contract with them by way of admitting to be connected to our strawman’s name in ALL CAPITAL LETTERS. 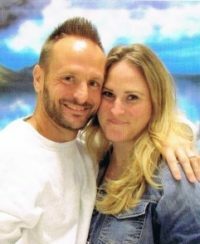 I completely thank God for you and pray that the Creator allow you and your husband to reunite sometime soon because it is important for families to be together. God bless you and I shall get back to you shortly. Sincerly, Mr. Pierre El Bey.